A product list is generally common in a business field that offers all types of products or services. Whether a grocery, store, online shop, or other related terms. 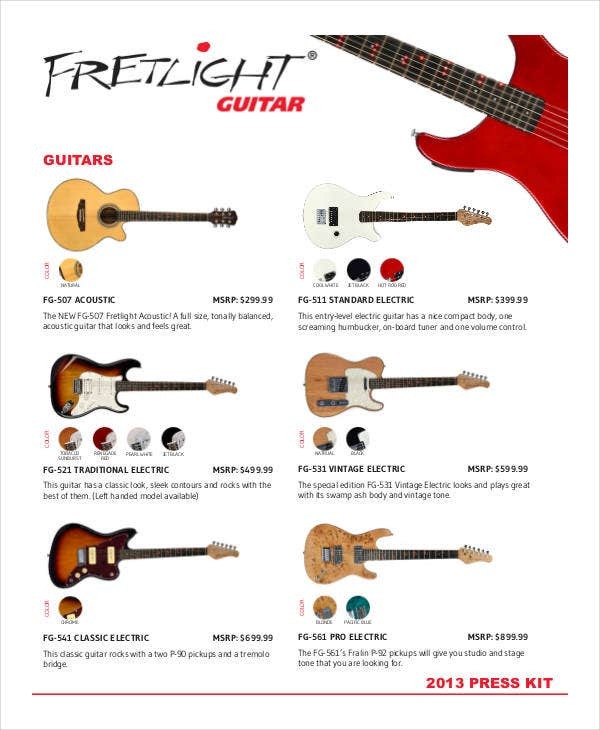 A product list will give numerous product listing that is available for purchase or for viewing. They are mostly directed to potential consumers and loyal customers. This list will show not just products but also services types and forms. Some even have a corresponding price and product code on it. 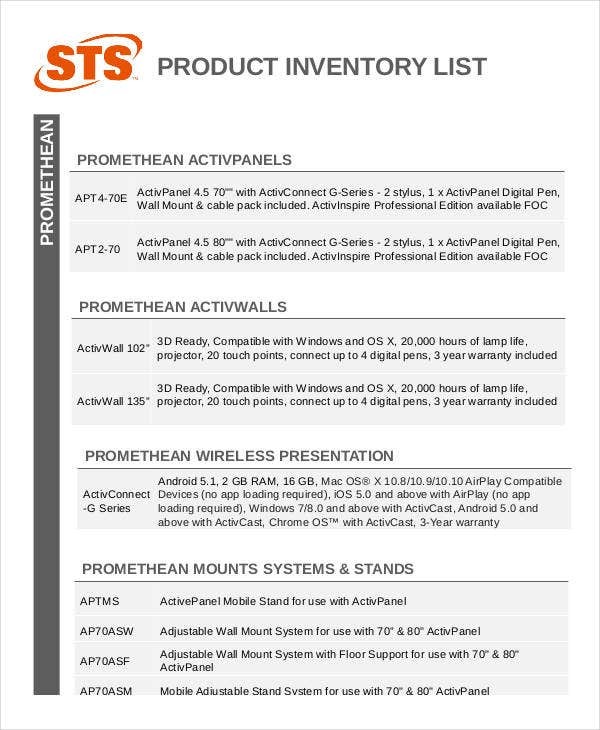 For a more specific product list types, below are List Template samples that you can make use of. Check which one matches what you need and you can download it with no hassle. All are preformatted and printable for a hassle-free experience. 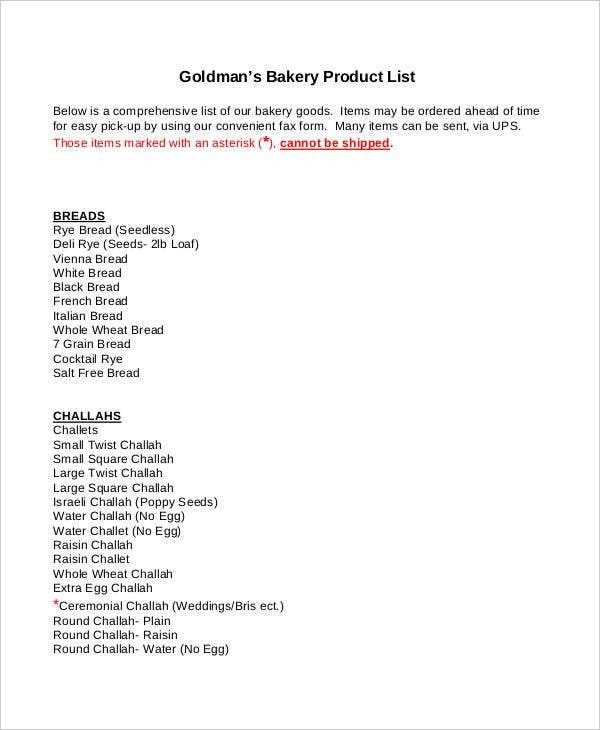 What Is a Product List? When making a product list, it is necessary to have a detailed and precise information. Those businesses that deal with products and services need a form like this or similar. This will allow them to jot down necessary product samples that will be available for the public to take advantage. A product list can be in any form, and one common example is a simple product list. 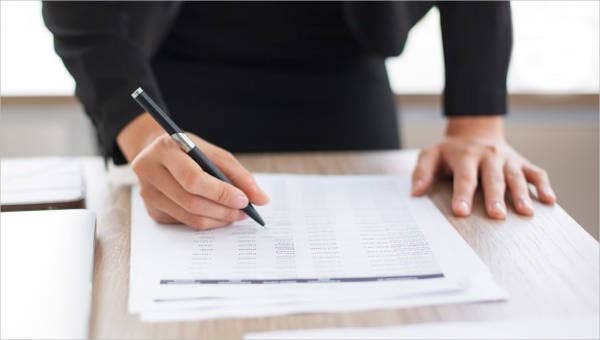 It is a list where the product’s name, which is arranged in a numerical order, each product’s specific price, the availability of purchase, and the stock amount are listed. 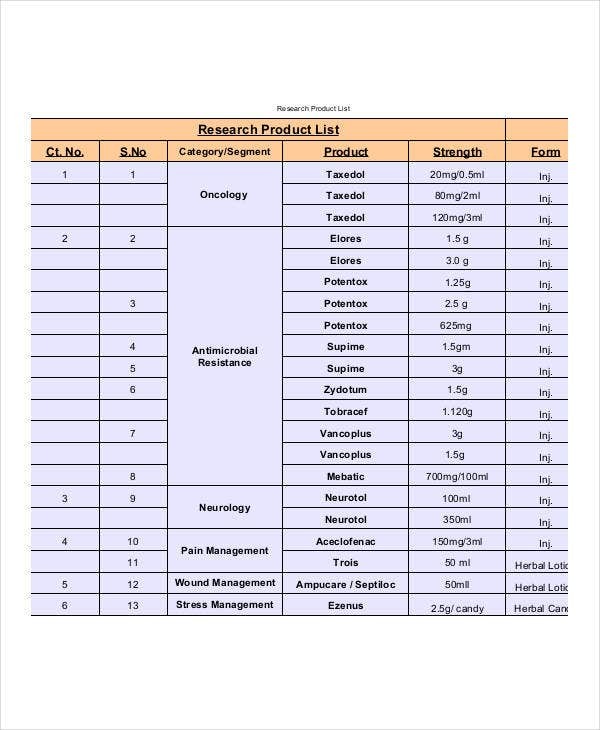 Research Product List. 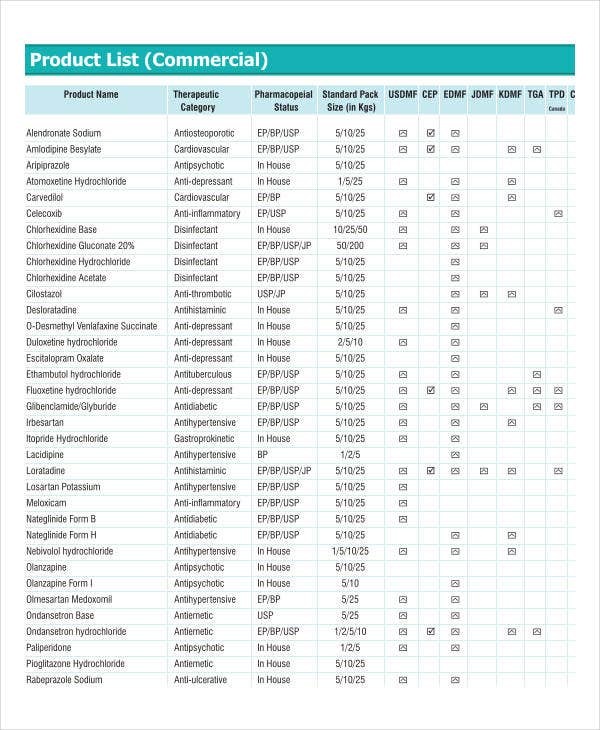 This is often used in a setting where chemicals or medicines are common. They are usually found in a pharmacy setup where medicines or other related items are being sold. 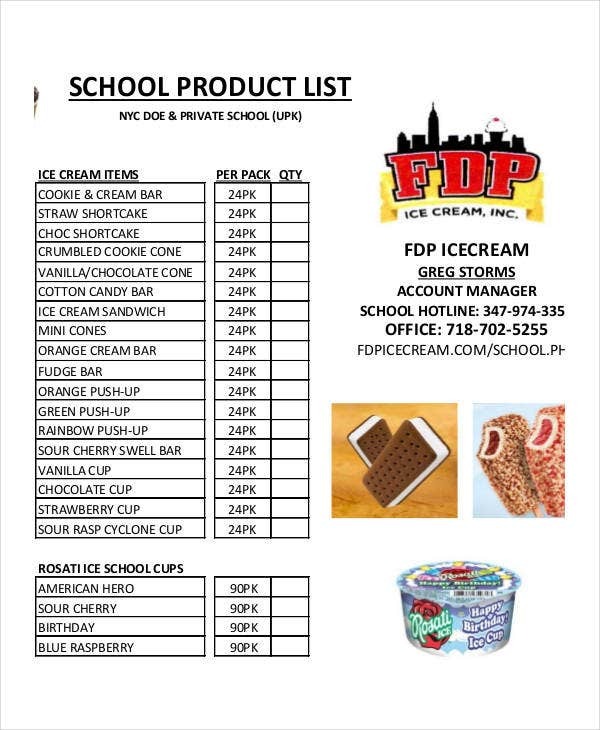 Product Packing List. 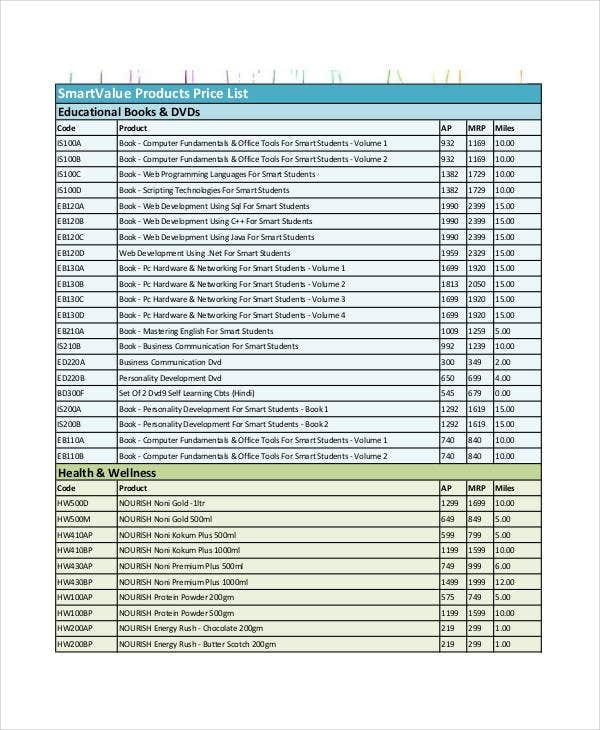 A list where certain products are being sold by pack or bundle. One good example is a flower shop. 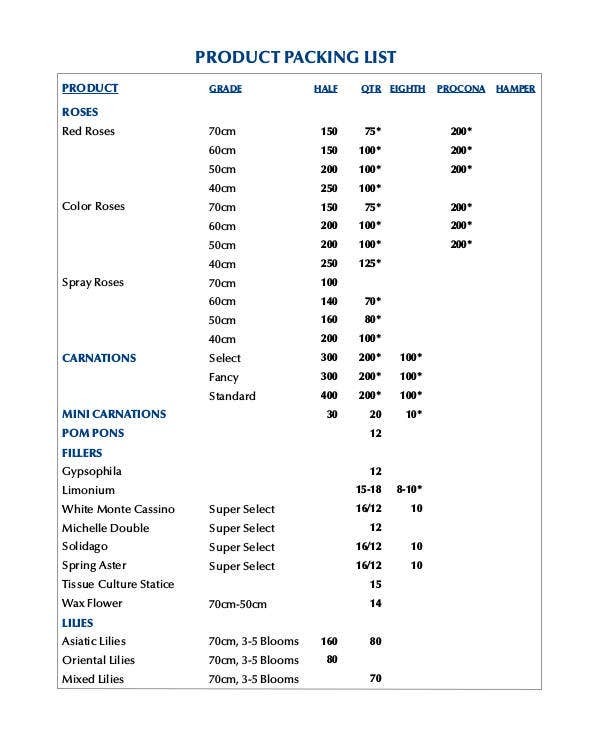 Product Price List. As the term implies, it deals more about each product and its corresponding price. 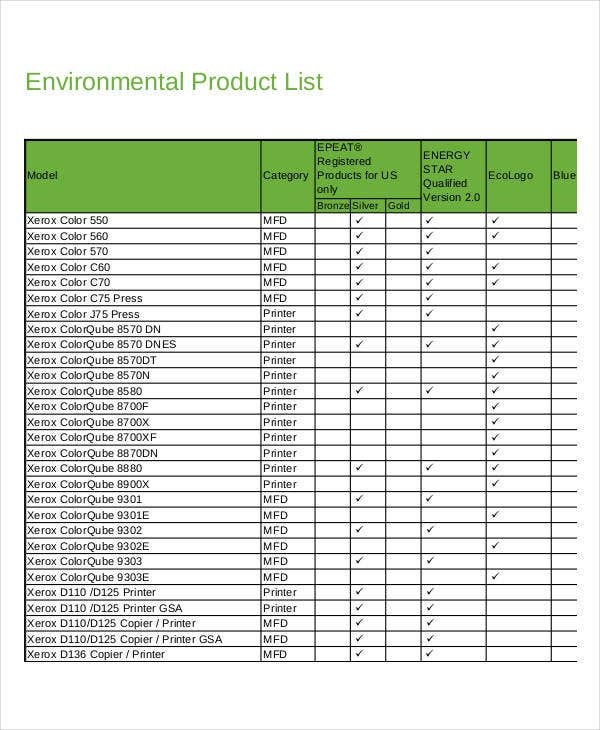 Environmental Product List. This list will show more about products related to the environment and other relevant information. Apart from different product list that needs to be presented in a formatted manner. Other available options are Vendor List Template and Shopping List Template, which are similar to product list templates too. Regardless of which list you will be making, it is much easier if you make use of templates. In that way, there is no need for you to create a list sample in a blank format. Templates are precreated so that you can just edit or omit details whichever way you want to, or if you want to add an image, you can do so. We also offer Price List Templates that you can take advantage of. It is a list where it specifically shows prices, whether for products, services, and so on. 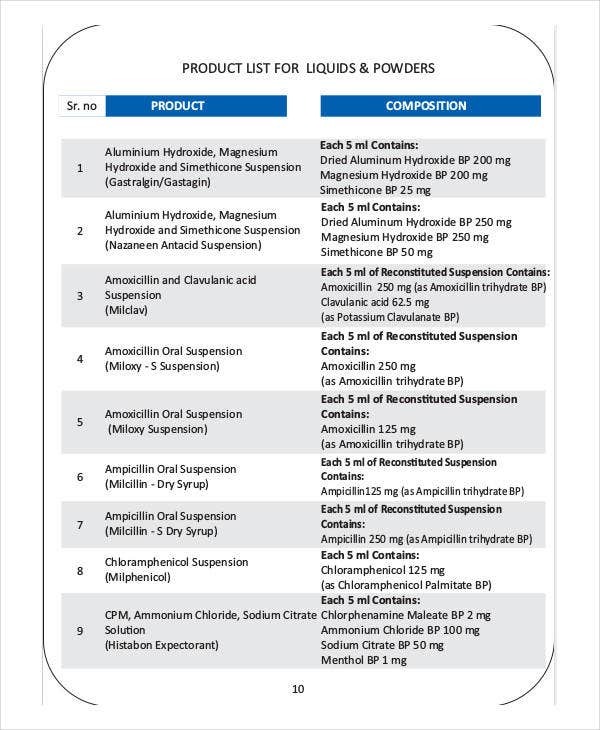 If in case you are asked from your immediate superior to create a product list, these templates that we have is beneficial to you. Not only can it help conserve your time and effort, templates are pretty convenient to use as well. From the various list templates that we offer, for sure there is one that matches what you need. You can also share this link to someone who needs these type of templates. It will be a great help.